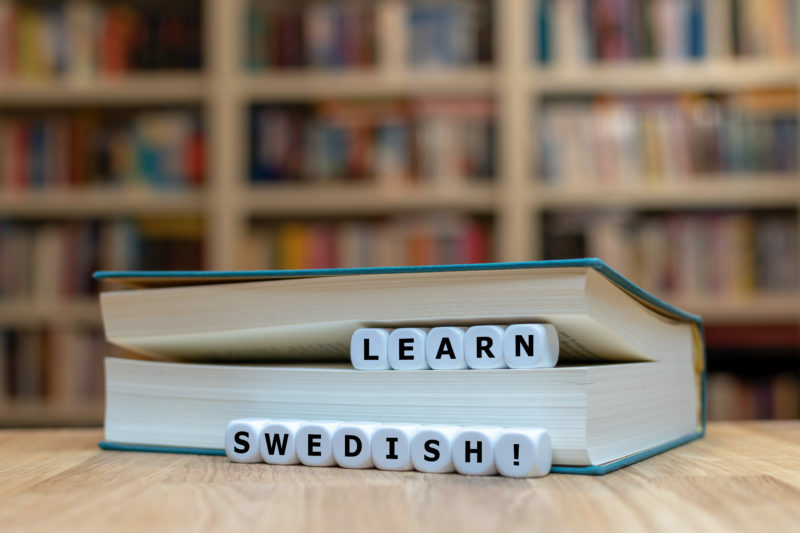 Looking for the best courses on the Swedish language can be difficult because it is a complex language that has many twists and turns. The language is hard to learn if you do not have a plan, a textbook, or a website as a resource. There are some incredible options below that will help you understand how to learn this language, how long it takes, and what your results will be. You should start with the best book to learn Swedish for beginners, and you can go from there. Commit yourself to this language so that you can be an expert who is more than ready to tackle your next goal in this field of study. Learning this language should only take one week, and people who are trying to gain some facility can learn what to do so that they can function in the language after only one week. The language has many common words and phrases that people can use to speak with some level of understanding, and they could use it for travel or to speak to friends who are learning English. You are crossing over the language barrier, and you can continue after one week using these tips. The conversations that people have help them learn the language in a way that will improve their overall enjoyment of the language. Talking to a real person helps you learn what Swedish sounds like. In fact, the person you are speaking to is trying to learn the English. The two of you together will have a lovely experience because you can correct their English while they correct your Swedish. They learn what the English language should sound like, and you will learn how Swedish sounds. The rhythm and flow of the language is the only thing that you can use to make speaking easier. Someone who has only studied a language in a book does not see the total picture. Find apps that you can use to speak to people, to study the language, and to improve your overall understanding of the language. An app will help you review things that you need to know, and the app could give you tips when you get stuck on a lesson. The app will give you a reminder every day, and you will remain committed to the process of learning, and you will learn something new every day that better informs you. The language makes more and more sense over time because you are consistently immersed in it. The audio and video lessons that you find online are done by native speakers who have lived in this language their whole lives. They know how it is supposed to sound, and they understand how you might be confused by Swedish. You are taught how the language is different from other languages, and you will find that the language has its own syntax that you need to get familiar with. The videos that you watch actually have the actors speaking with their full mouth movement so you can see how they make the sounds that they are making. The video give graphics that explain what it is you are looking at, and you are shown simple demonstrations of how to build sentences, how to use certain words, or how to say things that are growing in complexity. You need to have a lesson every day that will tell you something different, and you should choose a lesson that you believe will be easiest to do that day. You could actually learn to type in Swedish, and you could learn how to speak phrases that are most common in business, and you could use them at work because you need to speak to overseas clients who are relying on you. You should also find native speakers who are in the industry where you work. They can provide you with a way to use the phrases you have learned, and they will explain how they speak in professional tones as opposed to the casual language of a traditional lesson. You should have an assortment of resources that you can go to at any time. These different resources explain how to speak the language, how to write the language, and how to type the language. You could study Swedish in a third party language like French, or you could get a book that was made specifically for young students. There is no reason for an adult to be discouraged. The adults who are learning can use the same lessons that a child would learn, and this makes it possible for them to learn quickly instead of worrying about doing it quickly. You need to have a word reference that you can use to learn about words, definitions, and phrases that do not seem to fit the pattern of your study. The majority of people who study Swedish get confused because certain things do not transliterated to English. Because of this, you need to find the best approximation. The only way to do that is to check the word reference so that you can write down or say something that is close to your thought process. If you are studying the language carefully, you will learn. How the Swedish say things that will sound like you are a native. There are natives that help you learn the right phrases to use, and they will show you how they would say things that are unique to English. Your course of study must also connect you with people who are at your ability level. There are a lot of people who want to learn Swedish, but they do not have a way of doing it that will happen quickly. This program has more than one step. You will begin by looking at your options for learning a few words and phrases that will help you be functional. You could learn some business words that you need to know, and you will speak with natives who teach you something about the language that you would not have learned in a book. You can listen to audio lessons, and you can watch video lessons that will explain in great detail how you would speak, write, or type something. Let the lessons propel you forward after your first week of intense study. The best book to learn Swedish for beginners will do everything for you, and it has extras that make it so much easier for you to feel comfortable speaking.